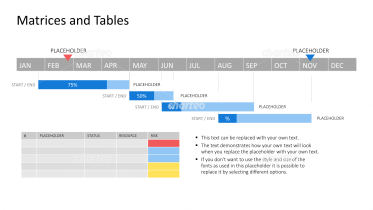 Tables and matrices allow you to organize content, whether text or numbers, clearly and efficiently. 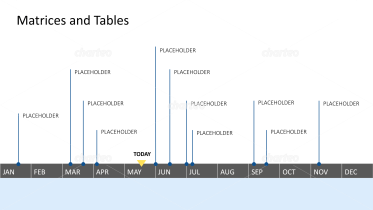 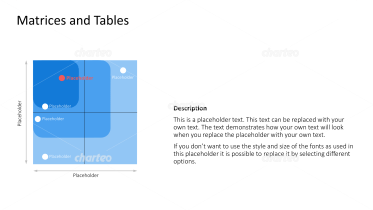 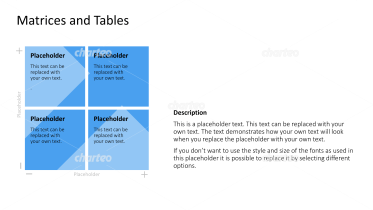 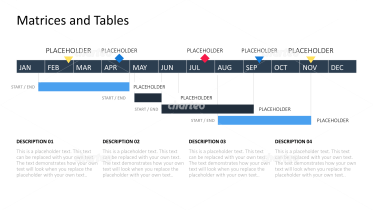 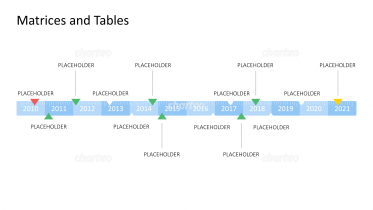 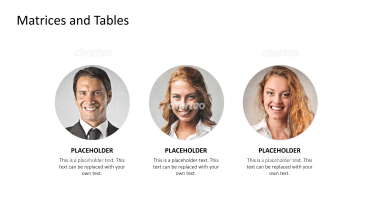 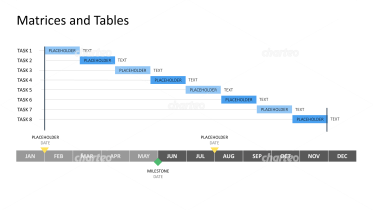 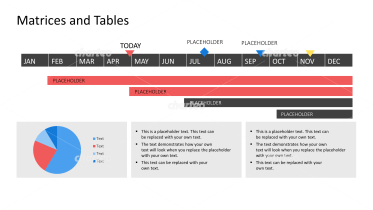 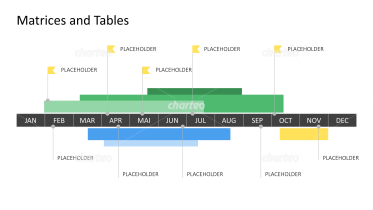 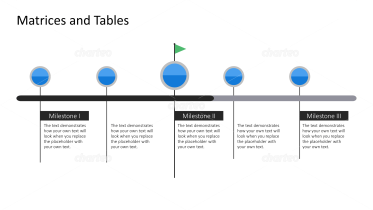 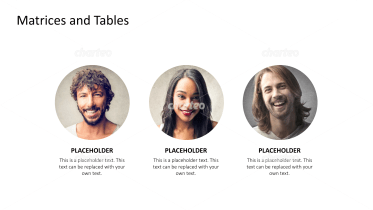 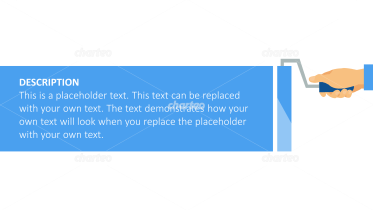 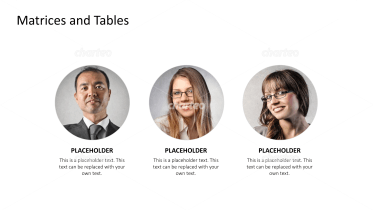 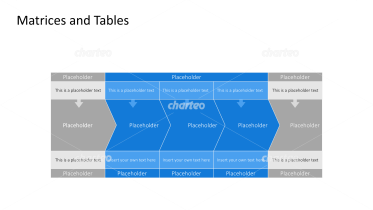 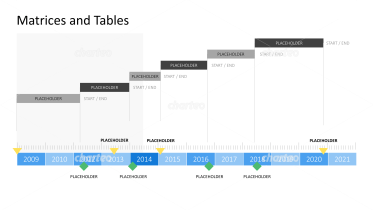 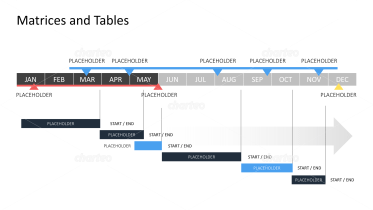 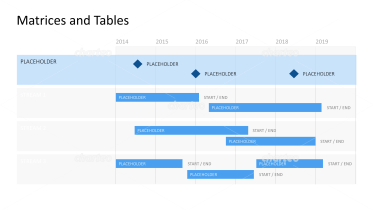 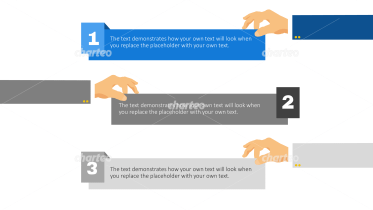 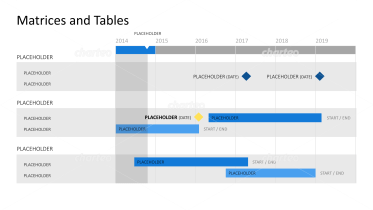 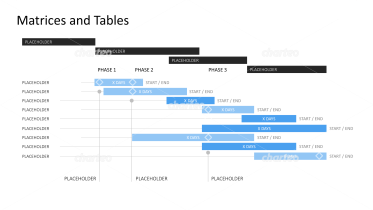 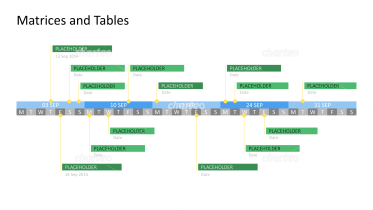 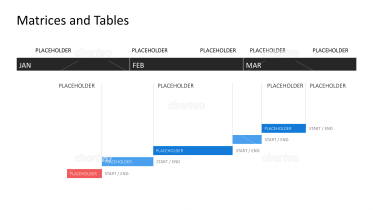 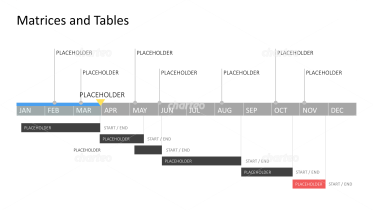 This category contains table templates, which can be customized with labels and modifications. 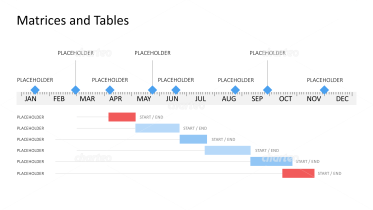 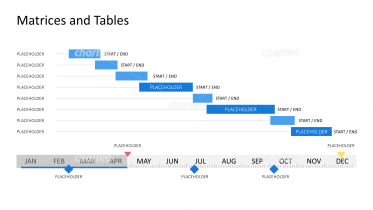 The Gantt diagram can serve as a useful tool for scheduling and project management. 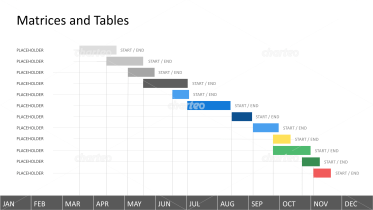 In the Gantt bar chart, timeframes, milestones, resources or individuals can be assigned to different project tasks. 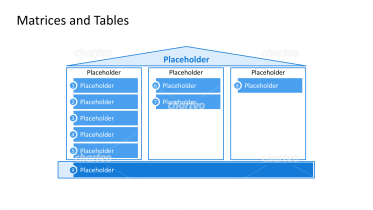 When organizing a project, tables can be used to distribute activities and labor, and also measure success. 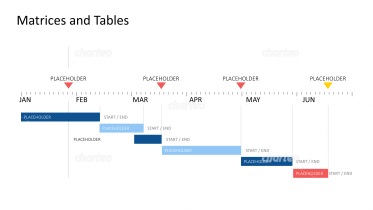 Gantt charts are an ideal tool to visualize a project’s progress and to analyze effectiveness and efficiency. 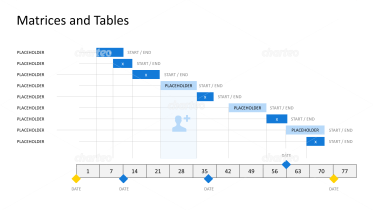 Matrices are frequently used in business economics to illustrate product, market and company analyses. 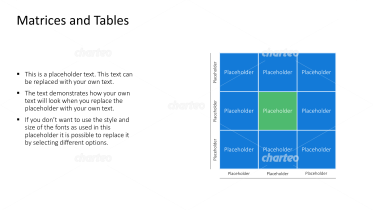 The best-known matrices, such as the BCG Matrix or the Ansoff Growth Matrix, can be formed with our four field matrices. 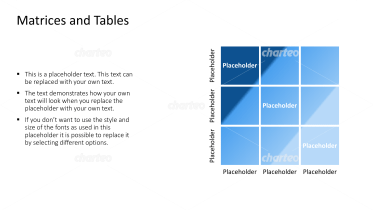 A nine field matrix, as per McKinsey, is also often used to evaluate the strength of a business portfolio. 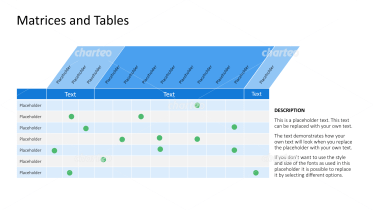 SWOT analysis charts help you visualize your company's strengths, weaknesses, opportunities, and risks.